The much-maligned former tip near Brookland Greens estate could potentially have a shinier future as a solar farm, according to a Casey Council report. The Stevensons Road landfill in Cranbourne was described as having “excellent orientation and topography” for solar in the report tabled on 3 April. It is claimed the landfill could potentially host a 11 million Watt solar system that could supply half of the power requirements for Casey Council’s buildings. 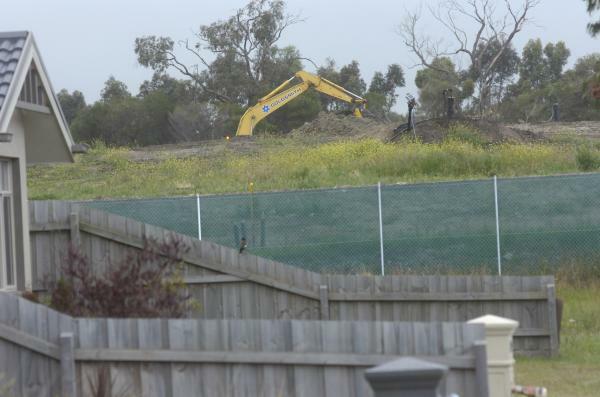 A decade ago, the disused tip infamously leaked methane into adjoining homes, leading to an expensive clean-up and class action bill for Casey Council and EPA Victoria. Other potential sites include suitable rooftops on 150 Casey Council buildings and facilities and the Quarry Road landfill in Narre Warren. The report also earmarked 325 hectares of vacant high-voltage transmission corridor land that could generate solar power for 33,000 households. A solar system mounted on a shade over Bunjil Place car park could potentially supply all power needs for Casey ARC and Bunjil, the report stated. It stated the benefits of local solar investment were cheaper, renewable energy, less price volatility and new revenue streams. Petra Stock, senior energy analyst for the Climate Council of Australia, said former landfills were a sensible solar farm option, as well as for the extraction of utilisable gases. Renewable systems on council rooftops and land was a “win-win” that slashed costs for ratepayers, Ms Stock said. Local councils and state governments across the world were leading the way on renewable energy solutions. She cited examples such as City of Melbourne partnering big businesses to invest in renewable energy projects. The City of Darebin has co-ordinated a bulk-buying program of cheaper solar panels for households, and the City of Lismore jointly invested in the world’s largest floating solar farm at a sewage treatment plant. “In an area like Casey, all of those sorts of actions would make sense,” Ms Stock said. According to the Casey report, officers investigated solar bulk-buy opportunities and were in talks with Shire of Yarra Ranges and Kingston Council on solar farms in landfills and greenfield estates. The council is also considering possible solar funding models including public private partnerships, government grants and a partner to provide battery storage for a large-scale solar farm. It is seeking a meeting with US-based Novosol Power Company Corp to invest in solar farms on council land. The report states that an alternative model was Casey or the community owning the solar farm.